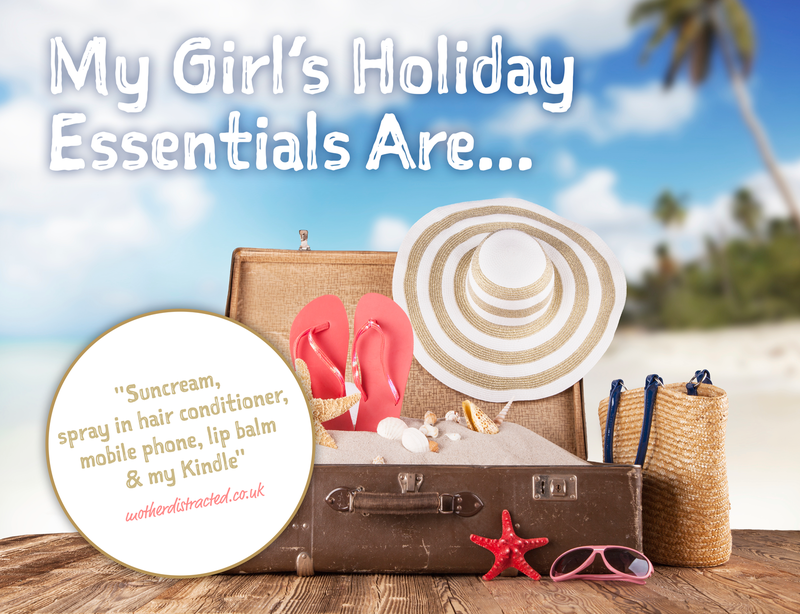 My Girl’s Holiday Essentials – What’s On Your List? Now I’m going to state upfront that my list is probably not going to be your list. And that the list of a woman in her 50’s might differ ever so slightly from that of a twenty-something off to Aya-too-much-booze for 10 days of tattoo warping sunshine. No. I have a much more traditional approach to going on holiday with the Husband and kids. I like to think of it as “coming back healthy”. Some people like to come back ‘refreshed’ or ‘energized’. I like to avoid any possible communication with the Institute of Tropical Diseases (which happened on my return from a trip to Egypt in 1988). I’m afraid I have form, having managed to catch Pharaoh’s Revenge. My 24th birthday was spent lying prone in a hotel room in Luxor whilst nibbling on a Twix to get my sugar levels up and trying not to be sick. I love to read other girls’ packing lists. During my single life, no trip anywhere was to be undertaken without a trawl through the floor-strewn merchandise of Primark for some Primarni t-shirts and knickers. And of course it was de rigeur to pack so many toiletries into your suitcase that the plane had to extend its taxi up the runway just to lift off. Today we have all learned to pack light (largely to avoid being charged extra by the budget airlines) – that, and the threat of terrorism. Travelling has lost its innocence in many regards. But I digress (as usual). It’s not very Kim Kardashian, is it? I suppose I ought to add the Husband and kids for the full family effect. When you’re a parent your chances of a holiday night out all glammed up tend to be remote in my experience. This makes lugging a full make-up kit rather unnecessary. In fact the days when I actually get round to applying a full face of make-up are few and far between. Now I come to think of it, the last time was my wedding day in 2011. Medication on the other hand is another matter entirely. You can never be too prepared in my book so my toiletry bag(s) groan with Calpol, Nurofen, current prescriptions, earplugs (vital! ), stomach medication, travel sickness pills – you name it and I could probably treat it. You know I do wonder whether people really manage to relax on holiday or whether it’s more about managing their neuroses in a different location. I’m far more likely these days to spend time browsing in an online pharmacy than I am testing shimmer bricks, lippies and reformulated-for-summer perfumes and spritzes. Thank the Lord for wine. "Beck Valley Book Tour – Starfish Island by Deborah Brown"
"Review: Elizabeth Arden Eight Hour Cream All-Over Miracle Oil"